Well, you won’t be on TV per se – but you will be in a live studio audience. 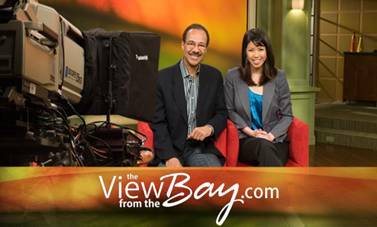 The folks at the local TV show, The View From the Bay on ABC sent an invitation to us looking for some fashion students to be in their studio audience for a series of fashion-centric episodes. Tuesday Oct. 6th: CLIFF HOUSE Celebrating 100 years of history, food, and fashion. Wednesday Oct. 7th: This Old Bag Fashion Show. Thursday Oct. 8th: Keeping your favorite jeans looking their best, plus a look to the past for tomorrow’s hottest jean styles. – The show is live from 3-4pm Monday-Friday. Our audience doors open at 2:15pm with a cut-off of 2:30pm. – Tickets must be requested in advanced and groups are welcome. To reserve your seats please call the ticket request line at 415-954-7733 or visit www.viewfromthebay.com and click on “be in our audience” and fill out a ticket request form. Or click here for a ticket request form. And P.S. – Make sure this doesn’t interfere with class time. Previous Alexander McQueen goes LIVE!